New 3 BR, 2.5 bath, 2 story home in desirable area, mile from Five Forks at Woodruff Rd. 1788 heated sq. feet with 2604 total ft. under roof. 1st floor M. BR has trey ceiling with crown and large walk in closet. M. bath has 2 vanities, garden tub, tile shower and floor. Living area is open to kitchen and dining room. Cabinets feature soft close doors and drawers with large island and granite tops. The main level has 9 ft. ceilings and luxury vinyl plank flooring. Separate laundry and mudroom. Bedrooms 2 and 3 are on second level with a Jack and Jill bathroom. Large loft area is also located on the second level. All bedrooms and loft have carpeting. Home includes smooth top range, microwave, dishwasher and disposal. Interior includes Santa Fe interior doors, cased windows, chair rail and wainscot and brushed nickel hardware. 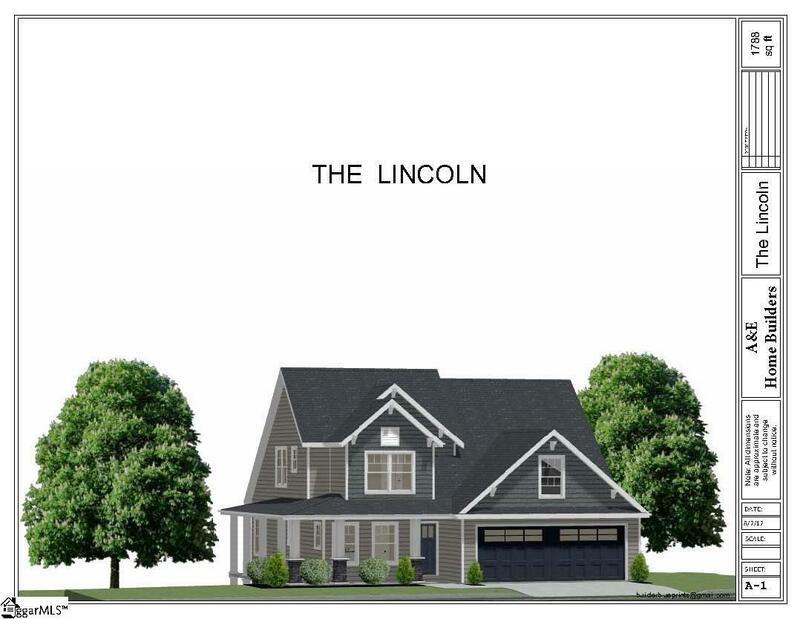 Exterior includes stone accents, architectural shingles and metal roof over porch, vinyl siding on main area and vinyl shakes on front gables. Buy now and choose your colors.